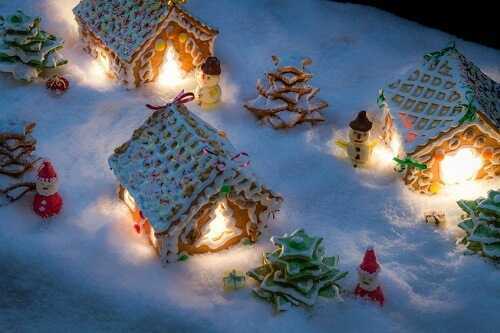 Both kids and adults enjoy making and decorating gingerbread houses. You can throw a gingerbread house and cookie-making party complete with candy, sprinkles, and all the items needed to create these spectacular treats that can double as holiday centerpieces. You can decorate your home with faux candy treats, too, for added effect.